This home was thoughtfully designed to enjoy the view of the ocean, Mt. Baker and winter sunrises! There is an lovely family room off the kitchen & eating area, a formal dining room, separate living room with a secret garden and den all on the main floor. Wait until you see the view from the huge master with it's private balcony and beautifully updated en-suite. The basement is partly finished but still has good storage space. This warm and inviting home boasts many upgrades in recent years including windows, exterior paint, tile roof was rubberized (2013), flooring and much more ! 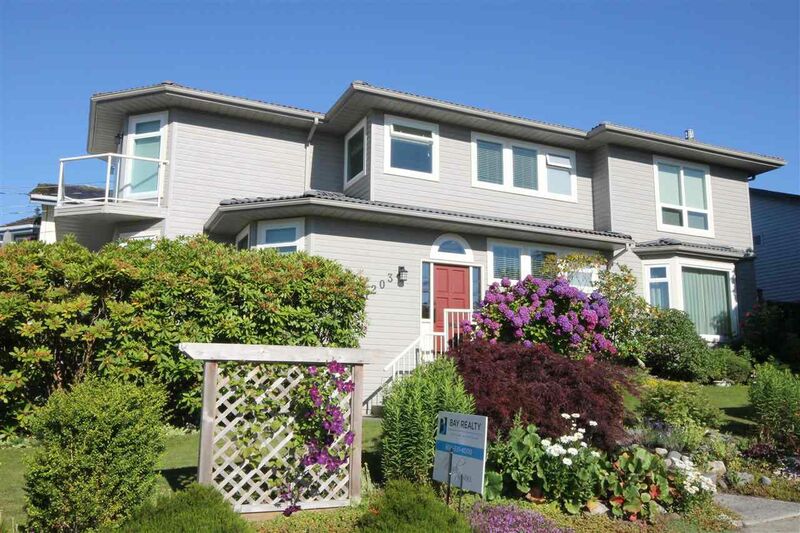 Wonderful location walk to White Rock elementary and Earl Marriott high school, shopping, hospital and the beach!